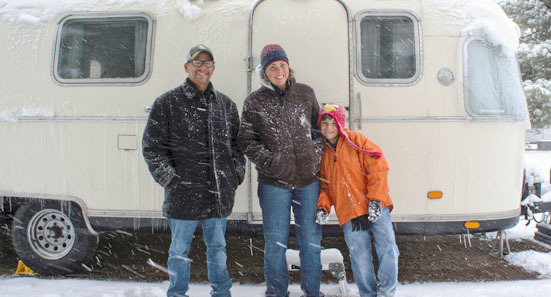 The journey from purchasing our 28 foot 1977 Airstream Argosy to traveling in her full-time is a 2 ½ year challenging, sweaty and emotional at times journey. 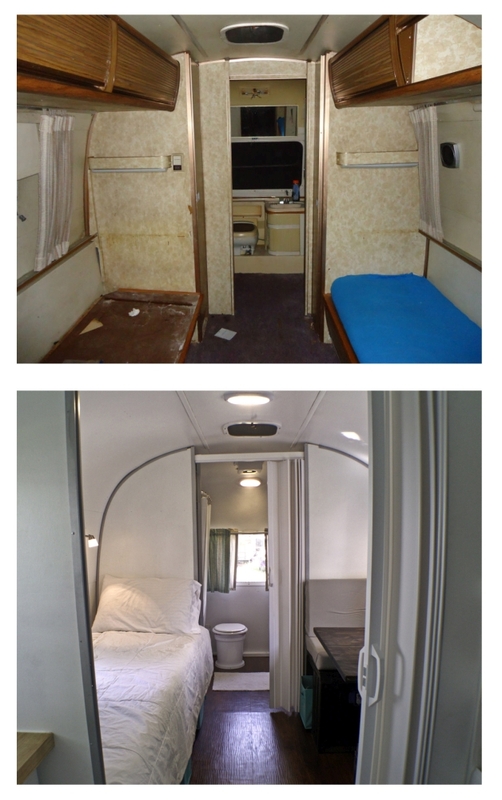 While we will do our best to provide how-to segments for those wishing to renovate some or all of their own trailers; we thought we could at least share some of the before and after photos, possibly providing some ideas for your renovation. The window had broken and a piece of plexiglass was crammed into place with a plastic bag in an attempt to keep water out. Didn’t work. The cabinets, obviously, and the floor were completely rotten. We used store-bought lower cabinets and created our own covering side-piece to match the curve of the wall. The original idea was to replace just the floor as it was rotten all the way around. However, in order to replace the floor we had to expose the C-channel (the part that attaches the shell to the floor), which required the removal of the lower skins. Once we did that we saw quite a bit of rot and vermin excrement mixed in with the insulation. 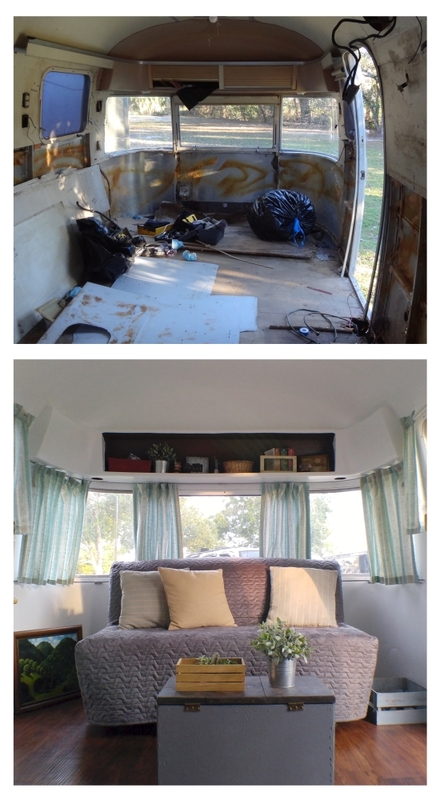 Thus our “replace just the floor” quickly became “gut the whole thing and build from scratch”. 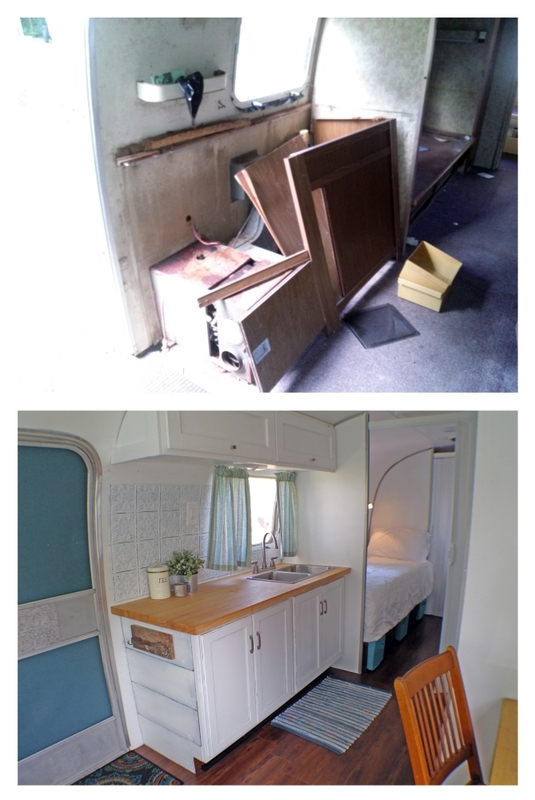 Even now it is hard for me to believe we did this…that we managed to rebuild our tiny, vintage home. Another major source of moisture is the bathroom. The back of an Argosy definitely had some major subfloor damage. There were other points of water entry through ceiling rivets. A thrift store find, we altered a standard cabinet to fit our space and create a more-open feeling bath area. 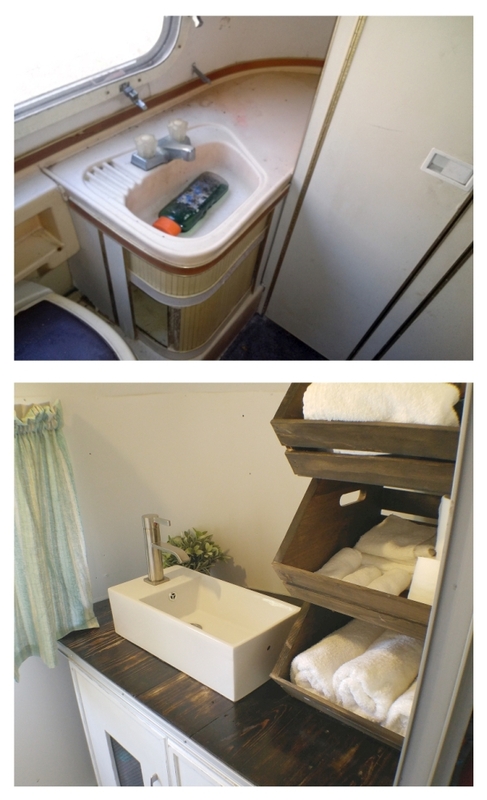 Our particular Argosy came with a set of twin beds over the wheel wells. Keeping with the original design somewhat, we also knew we needed a functioning work space for our business and home school. The booth also converts into a matching twin bed. Quite a bit of work went into the body. There were dents and gashes. The awning had long been ripped off in a storm which left gaping holes. Bondo filler and sealant was haphazardly smeared everywhere. 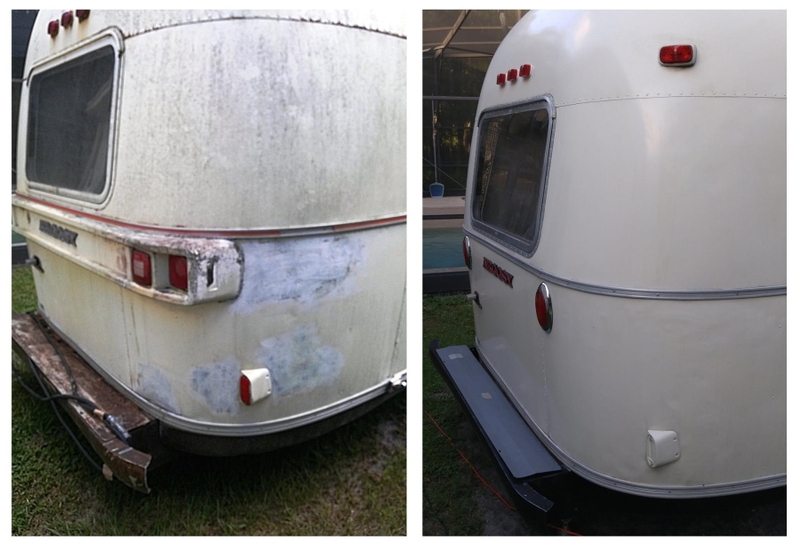 New paint, new lights …we think she is beautiful!